Rodolfo Vazquez loves the Beatles. Well, I love the Beatles. Let me reword that sentence. Rodolfo Vazquez has an obsession with the Beatles. The 53-year-old accountant from Buenos Aires, Argentina, has been in love with the Beatles since acquiring Rubber Soul when he was 10 years old. 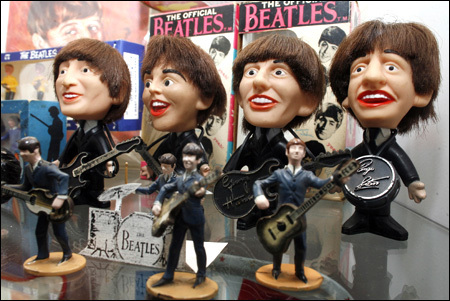 He has worked since then to amass the biggest Beatles memorabilia collection in the world. The Guinness World Records marked it as the biggest collection in 2001, when he had already amassed 5,612 items in the attic of his home. The collection has reached over 8,500 items and Vazquez wisely decided to move most of it into a bigger space. The Beatles museum in Buenos Aires opened on January 3 and has already allowed Vazquez to share his wealth of Beatles’ gadgets and gizmos with 2,000 people. So, what does he have? Here is a short list of stuff. Vazquez has acquired a brick from the Cavern Club, Beatles’ wig, toys, pictures, concert programs, and even a box of condoms with the name of John Lennon and Yoko Ono (yeah that is really disturbing). What does the man with everything want more of in the Beatles’ world? “What I am missing is to shake hands with Paul McCartney and Ringo Starr, hug them and chat with them a little bit,” he said in an interview with AP. Paul, Ringo. I believe you know what to do next. Ever wonder what the classic “Jurassic Park” theme song would sound like if you slowed it down 90 percent. No? Well neither did I until I stumbled on a Gawker post that answered the question of what happens when you slow the “Jurassic Park” theme song down by 90 percent. Here is what it sounds like. It’s heavenly. If this version of “Jurassic Park” narrated my life, or any movie, it would be narrating one of the most epic and long scenes of amazing success, like the entrance through the Pearly Gates. He is absolutely right. Music is powerful, especially when you slow it down. Perhaps no exclamation explains Reznor’s Golden Globe win more so than “Holy Sh*t.” That is exactly what he tweeted after winning the award for his joint score for “The Social Network.” He wrote the score with Atticus Ross. On the red carpet, Reznor explained to the New York Times that he was there to support the film. He also spoke of the Grammy Awards, which he never has attended even though he has won Grammy awards for his work with Nine Inch Nails. Reznor is a smart dude. The Grammy awards have done an excellent job promoting poor, washed down, terrible mainstream music. 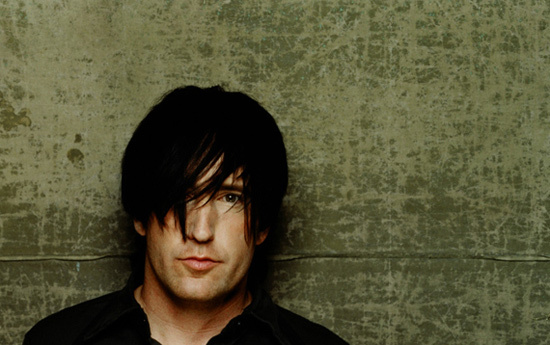 Rarely do talented performers like Reznor pick up substantial awards. Reznor and Nine Inch Nails have won the award for “Best Metal Performance” twice which is seriously like honorable mention in summer camp Olympics. Don’t believe me? Take a look at the nominees for the Grammy awards.